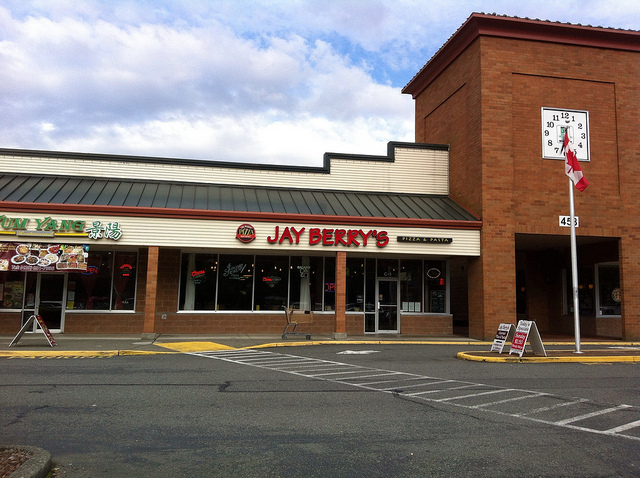 If we are hungry when we visit North Bend, we usually eat at Jay Berry’s Pizza and Pasta at 456 Mt. Si Boulevard. The first time we went, years ago, we thought it was going to be just another pizza place in a strip mall. But each time we go (at least once a year for many years) we are impressed by the quality of the food and service. This time dear daughter and I shared a baked tortellini and we each had our own French Onion Soup. Update: 4/2017 When I went to take myself out to an early dinner, I found that Jay Berry’s was gone and another restaurant was in its space. But I do see that their website is operational and links to their restaurant in Renton. 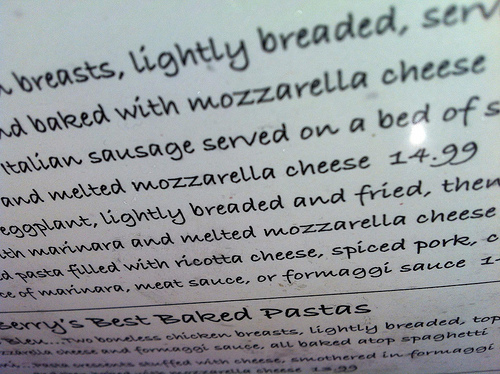 Guess I’ll need to go there for some great pasta! This entry was posted in North Bend, Restaurants, Sit Down Establishments, Their future is in question, WA State - King County and tagged closed, food, Jay Berry's, North Bend, pasta, pizza, restaurant on June 25, 2012 by admin.